A full service tree care company, Sepe Tree Service provides the finest quality services in the industry. 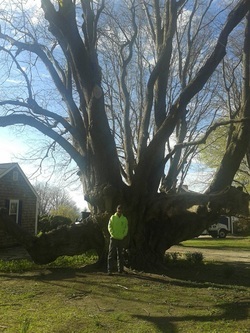 The owner, Don Sepe, Jr., has over 30 years of experience in tree removal as well as stump grinding and guarantees that he will personally review all your tree service and landscaping needs. He will personally educate you on the best options available for all your concerns and ensure your project is done correctly from start to finish. Customer satisfaction is the number one priority of Sepe Tree Service, that is why the owner guarantees that your job will be done properly and safely, the right way, every time. Sepe Tree Service is available 24 hours a day for emergency services. All formen are licensed and Osha certified. All skilled laborers and equipment operators are well trained and licensed in their prospective duties. For professional, quality tree service, contact Sepe Tree Service. Satisfaction Guaranteed!